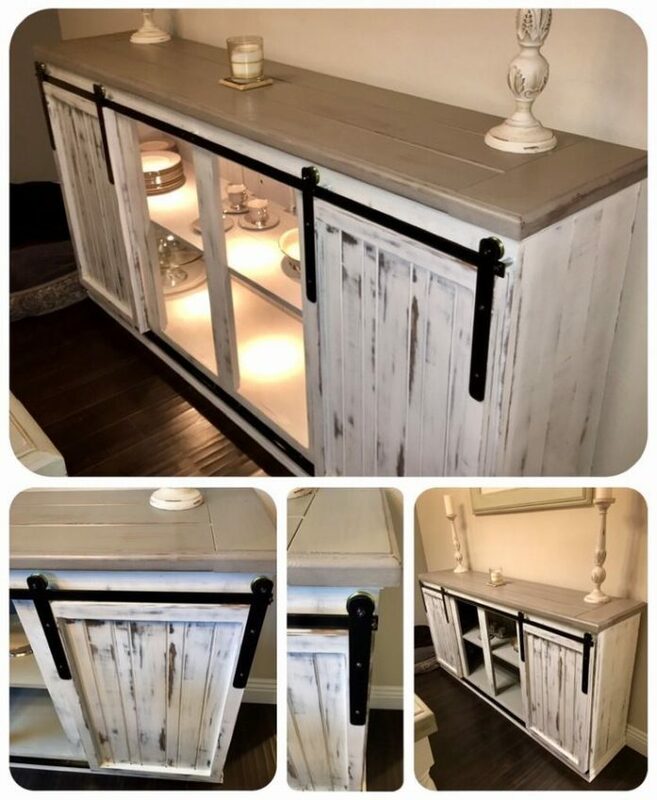 DIY – Sideboard / Buffet Table. Farmhouse Barn style hanging doors, painted Annie Sloan Pure White and distressed. Top was made from 2×6's the were squared and routed and painted French Linen from Annie Sloan. Hangers were made from 1/8 flat bar and sliding doors wheels from Lowe's. I used square bar from Lowe's as a rail at the bottom and painted it black. I used screen door small plastic wheels on the bottom of the doors that fit into the track to hold the door in place.